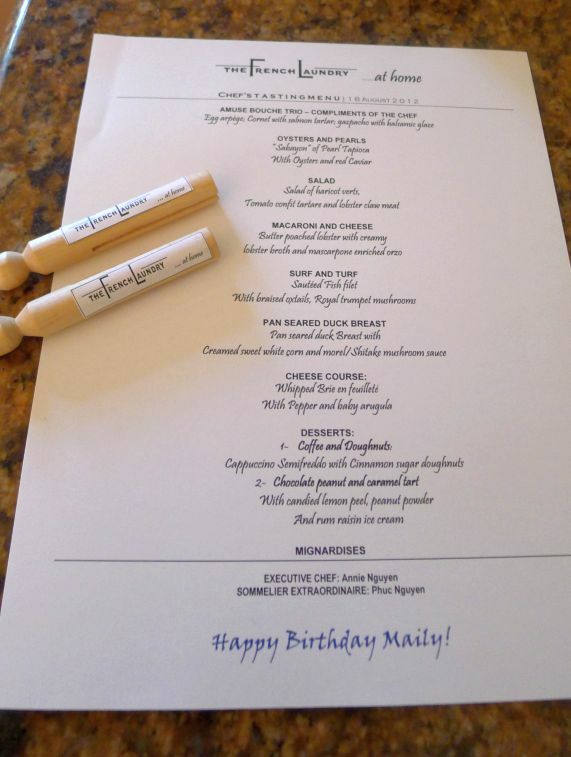 Tonight we are celebrating Maily’s birthday and to make it super special I have planned for a full 8-course tasting menu from the French laundry Cookbook! My goal which is the same as at the French laundry is that during my 8-course meals no single ingredient is ever repeated throughout the meal! I am not sure if I can keep the challenge but I certainly will give it a try! Over the years I have dined and wine in many great restaurants but the French Laundry remains the benchmark for fine dining in my mind. 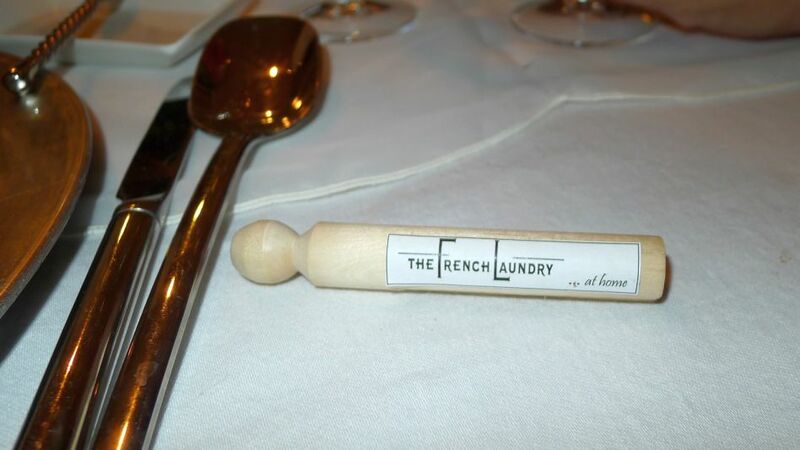 To me the French laundry stands out as the best of the best! Thomas Keller is perhaps the most respected American chef of our time and his name is synonymous with finesse, innovative cuisine, and the attention to detail in his recipes is simply amazing, but it is also overwhelming when you want to re-create his dishes at home! 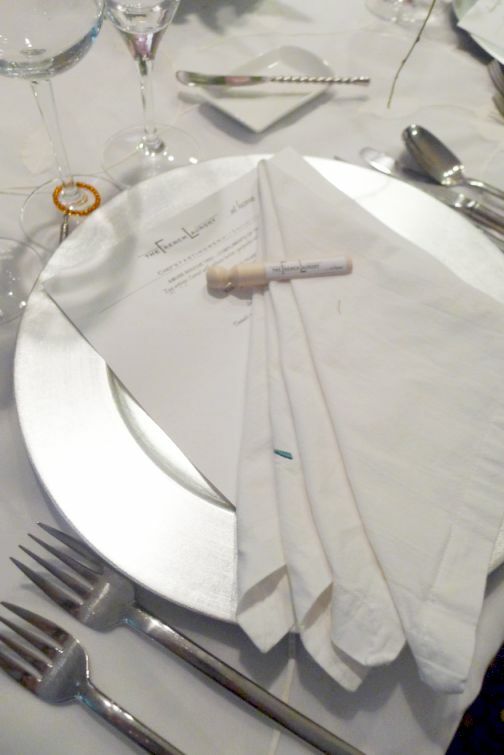 Nothing in the French Laundry is simple! A dish that might looks so simple will takes hours of preparation but once you taste it you will understand why it takes so much work in order to extract the maximum flavor out of an ingredient and in the end yield a remarkable dish. 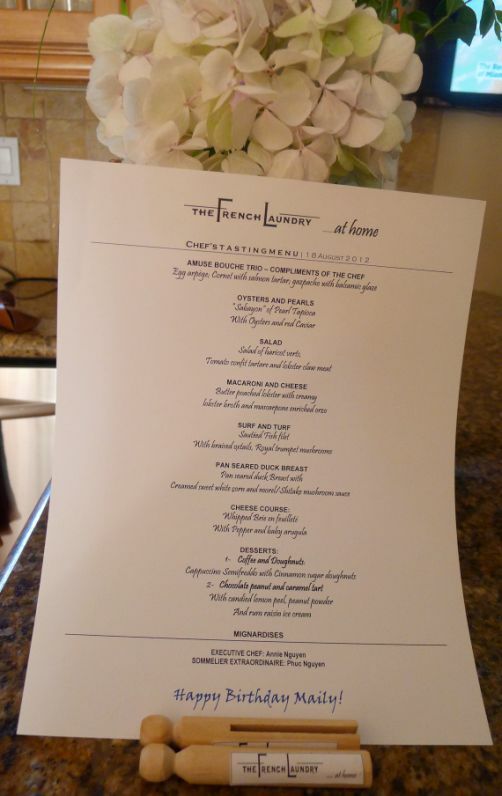 The French Laundry cookbook raised the bar to a new standard where the recipes accurately reflected what professional cooking could be and if you are willing to work hard enough to achieve that gold standard. Cooking a French Laundry menu for 15 people is a real challenge but let's start with the beginning! 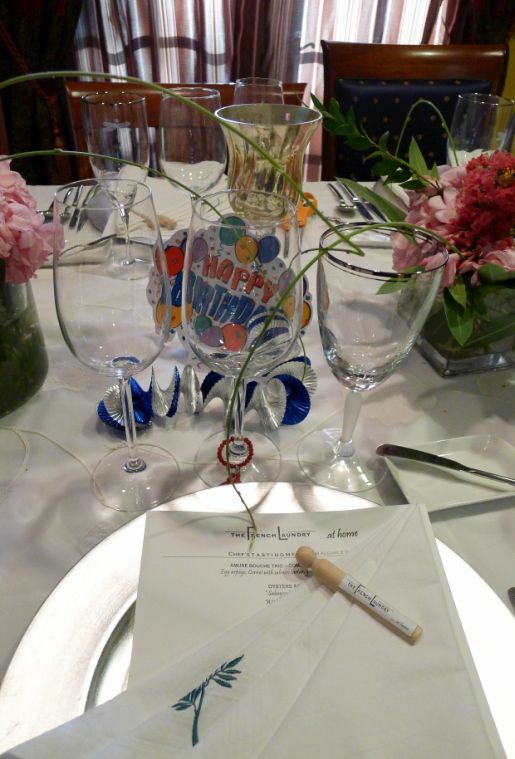 Setting the table was a no-brainer for this occasion! To me laundry represent cleanliness which translate to crisp and white linen so I knew right away which direction to go for my tablescape. 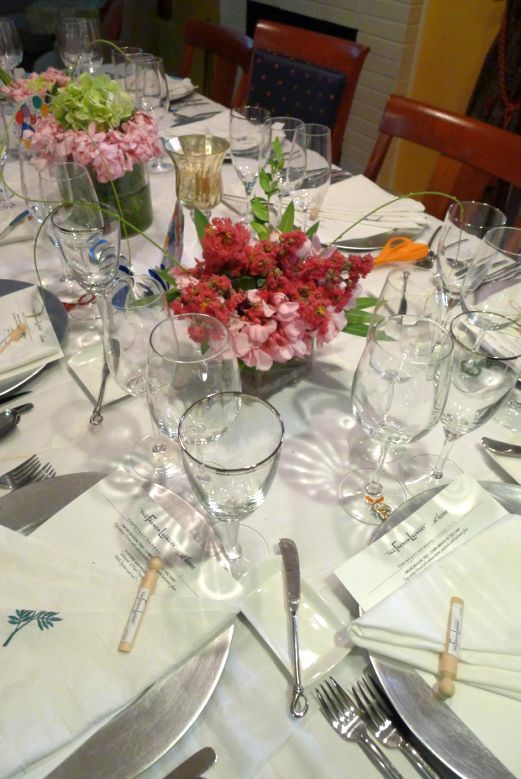 Starting with a white tablecloth, white napkins, then I added silver chargers to make the table feels luxurious. Crystal water goblets, Champagne glasses, white wine glasses, red wine glasses, and silverware are brought out for the occasion! 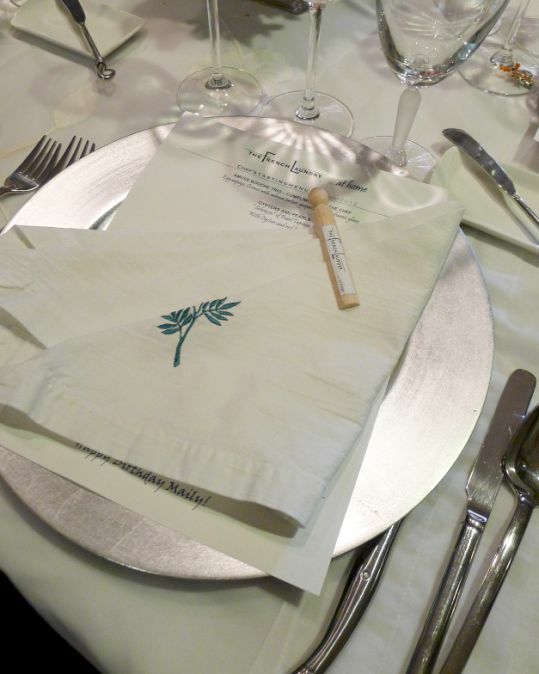 Napkins are folded just the way it is at the French laundry and to complete the look and feel of the French Laundry I ordered online a bunch of Laundry wooden clips. Since everything is white I have to inject a bit of color by adding three large flowers arrangements in the center of the table. 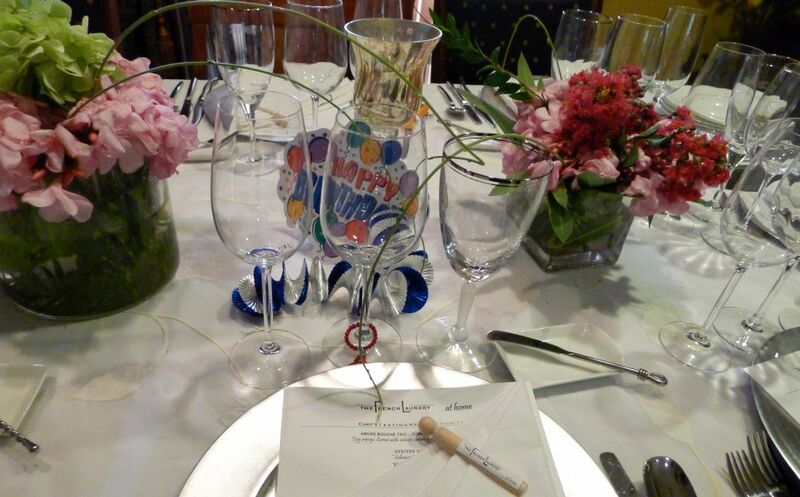 A few Happy Birthday garlands are strategically placed on the table. 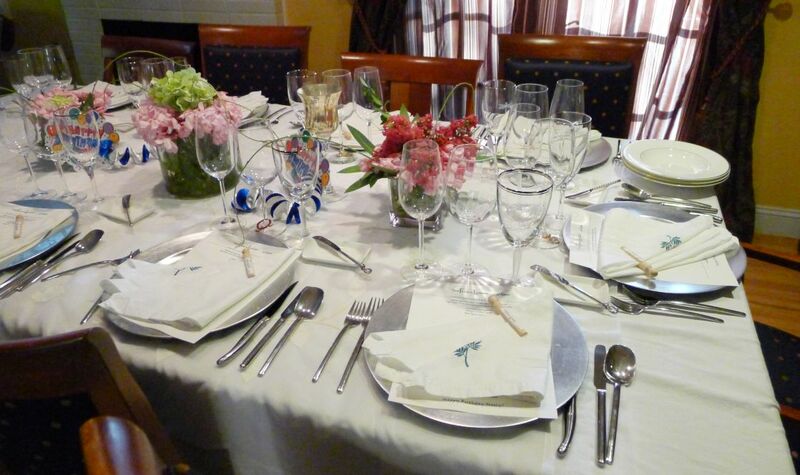 Napkins folded "French Laundry" style! For the menu I used the same format as at the French Laundry but of course I customized it a bit to reflect that we are celebrating Maily's birthday! How important is wine to food? When pairing is correctly is like a good marriage when wine and food were meant for each other. Each can enhances and strengthens the experience of a whole meal and can elevate a meal to new heights. Wine is definitely not my department but luckily I can rely on Phuc, our own personal and extraordinaire sommelier to help out and to make this evening a memorable one by pairing the wine with the food. I have to admit that when we went to the French Laundry all of us were disappointed that the wine pairing did not leave up to our expectation. So in order to have a marriage in heaven between the food and wine I e-mailed Phuc ahead of time with the menu so he can pair the wine with the food accordingly! Bottles of red wine that Phuc brought over for the evening! 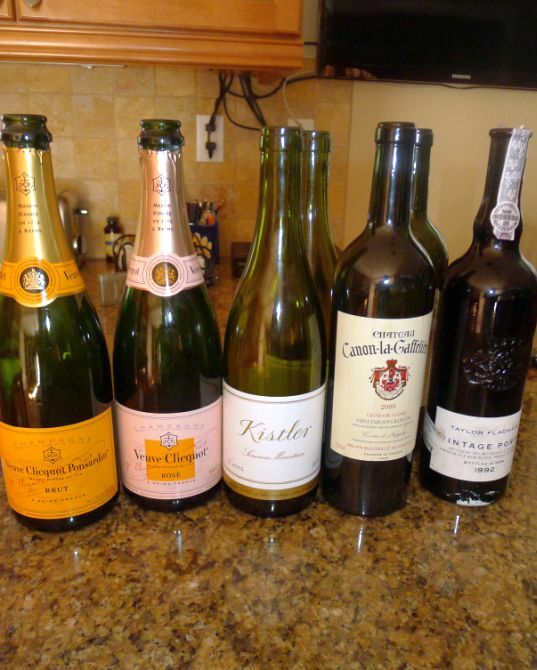 Here are a quick view of all the bottles of wine that Phuc brought to pair with the food. 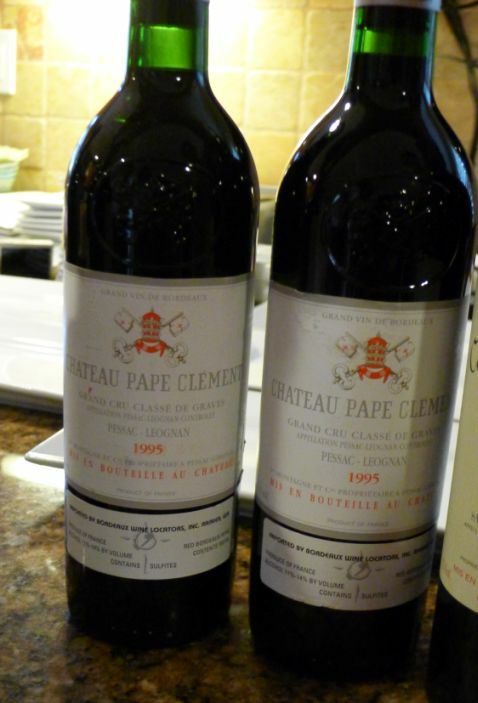 "This is a triumphant 2000, flamboyant, super-concentrated, yet classic in proportions. Lavish notes of roasted espresso, melted chocolate, crème de cassis, toasty new oak, and Asian spices jump from the glass of this sensationally perfumed, rather ostentatious 2000. It is enormously concentrated and pure, with low acidity and exquisite balance. Remarkably, in spite of its large size, viscosity, and opulence, it is fresh and delineated. 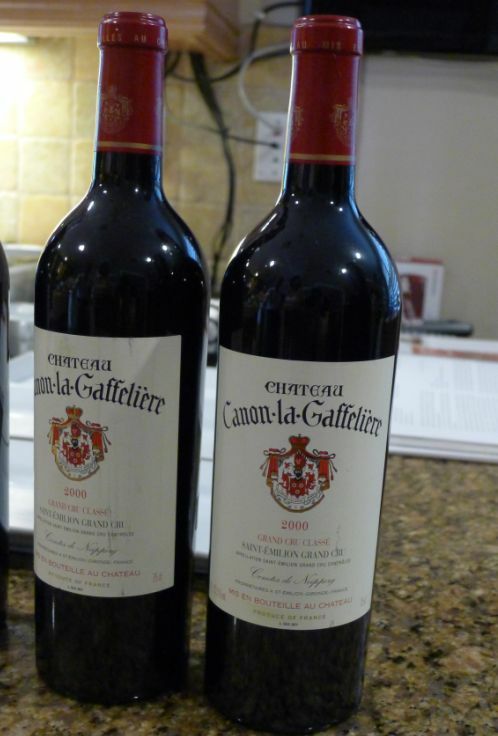 Potentially the finest Canon-la-Gaffeliere made to date, this impeccably made wine will drink well between 2006-2022." From Robert Parker: "If the Kistler winery could be transported to the middle of Burgundy, it would quickly gain a reputation as glorious as any producer of Burgundy's Grand Crus." 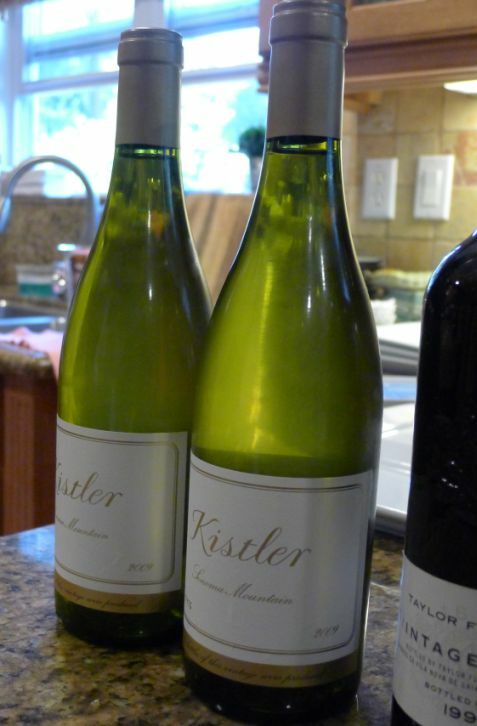 Kistler's Sonoma Mountain Chardonnay grapes are grown in a rare combination of red volcanic and fine grained chalky soils. The wine is rich and complex with aromas of tangerine, citrus and smoky hazelnut. Meursault-like in style, this hearty white is luscious, displaying intense fruit flavors underpinned with toasty oak and roasted nut. Minerality and flinty stone accents are prominent on the palate in the tradition of great Burgundy. The crisp acidity complements the wine's rich texture. Enjoy on the warmer side of cold to enhance the wine's already long, lingering finish. 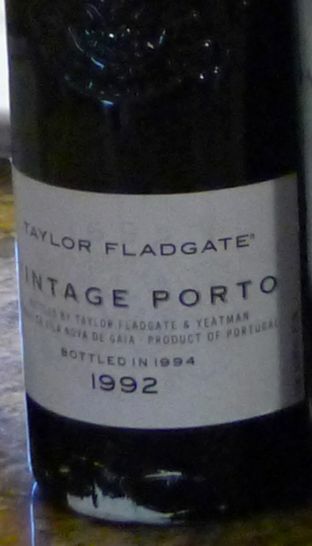 "Taylor’s finest and rarest wine, the very pinnacle of port. Only in a year when everything is perfect does Taylor's ‘declare’ a vintage. With the company’s reputation at stake, ‘declaring’ is not taken lightly, since it invites a knowledgeable and worldwide audience to judge whether perfection has indeed been achieved. The ultimate collector’s wines, Taylor's Vintage Ports will last for fifty years or more. They are renowned for their massive structure, concentration of flavor and distinctive ‘masculine’ style. Bottled after two years in wood, they continue to mature for decades in the cellar, slowly attaining the sublime elegance and power which are the hallmarks of the Taylor's style." 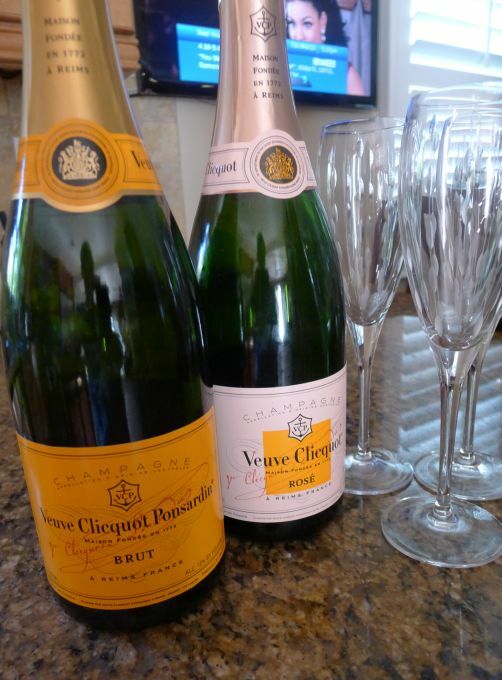 We started the evening with a bottle of Veuve Clicquot Ponsardin and a bottle of Veuve Clicquot rose champagne! Courtesy of Tuan and Minh. For 10 people (adults only) we managed to drink a total of 8 bottles of wine during the course of the evening. 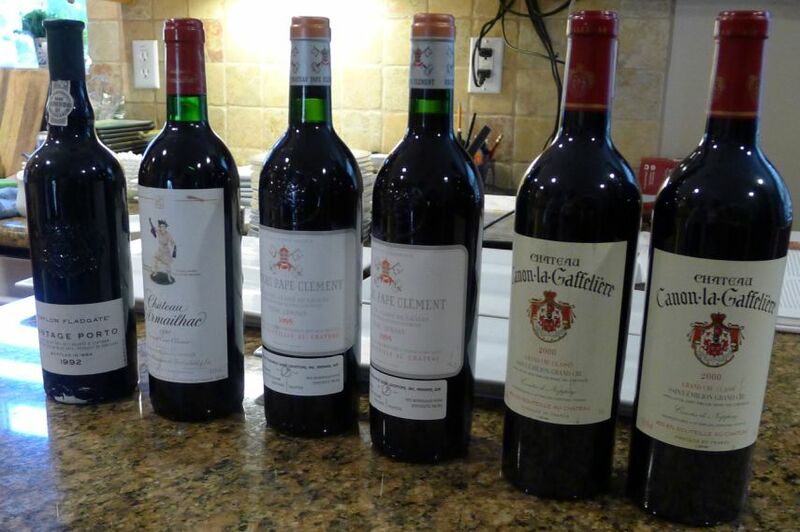 We drank 2 bottle of Champagne, 2 bottles of Kistler Sonoma Mountain Chardonnay 2009, 2 bottles of Chateau Canon La Gaffeliere 2000 and a bottle of 1992 Taylor Fladgate Vintage Port. 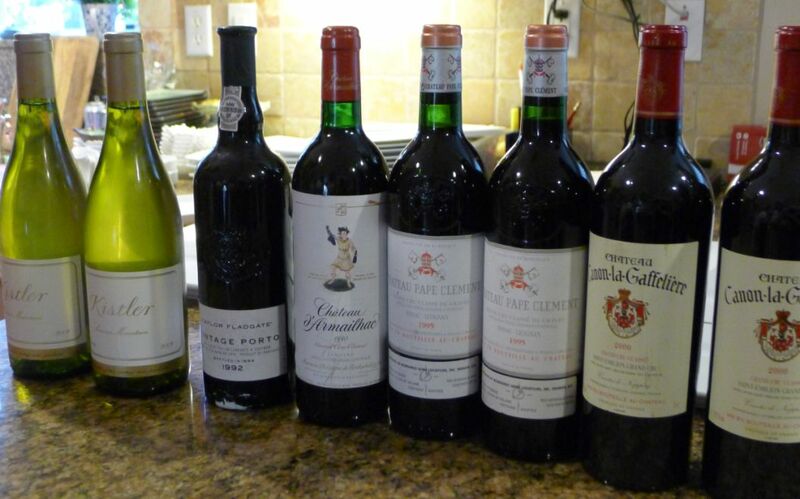 We did not touch the Chateau Pape clement and the Chateau d'Armailhac Pauillac but there will be other occasions....something to look forward to!